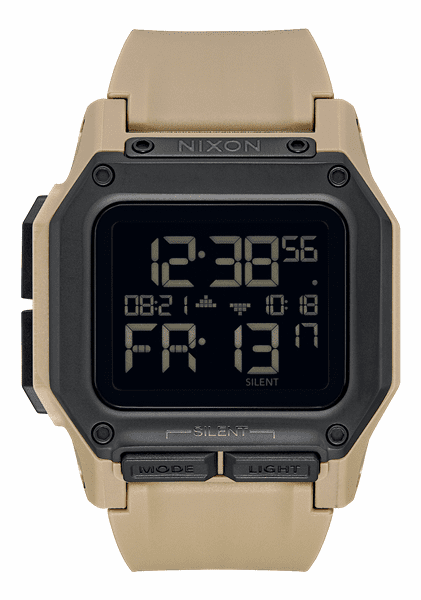 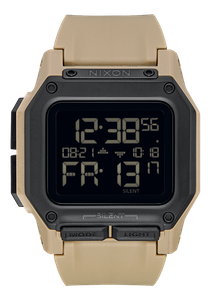 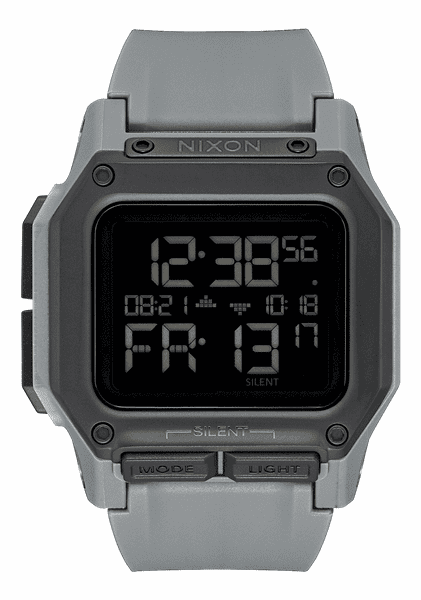 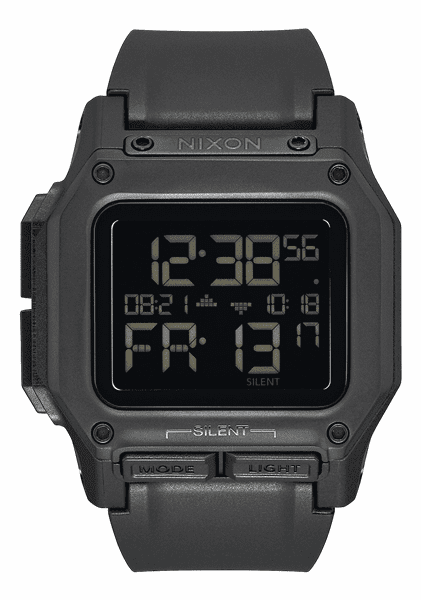 Nixon designed this digital destroyer with durability and duty in mind. 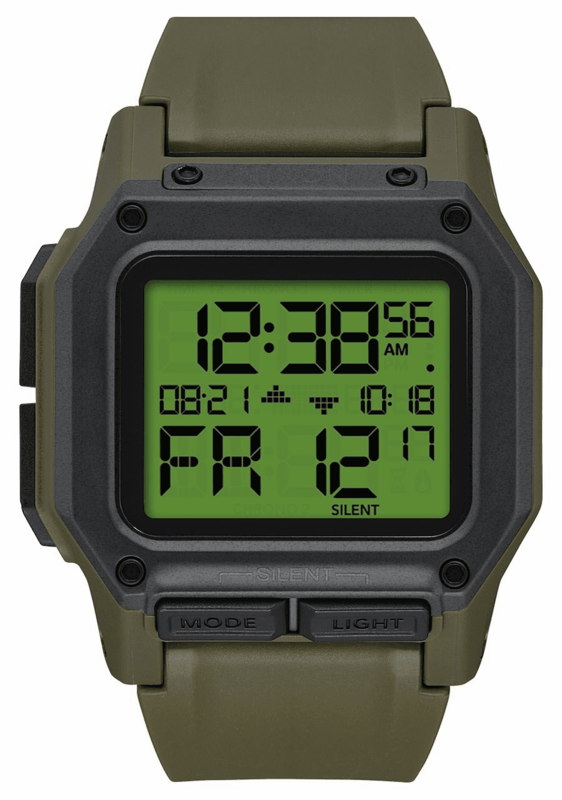 The Regulus is the perfect squad mate at home and in the field. 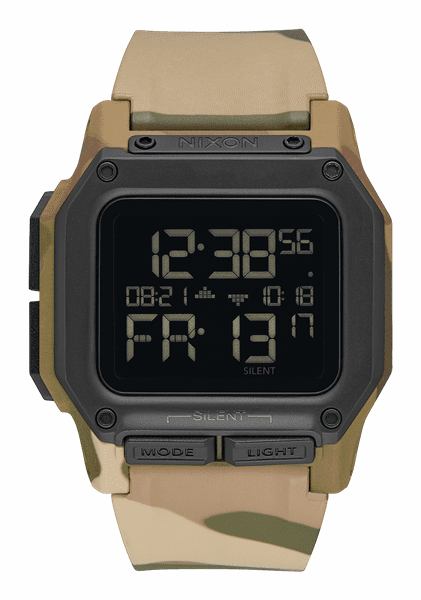 This beast features superior shock absorption, dual time, auto calendar through 2099, dual chronographs, count down timer, three independent alarms, and an adjustable LED backlight.